The rupee on Tuesday closed marginally up by 1 paisa at 66.73 a dollar, advancing its gains for the sixth straight session against the US dollar. Some dollar selling by banks and exporters on hopes of more foreign capital flows helped the domestic currency gain for the sixth straight session, dealers said. A weak dollar in the overseas market also boosted the rupee value even as traders stayed cautious ahead of GST debate in the Rajya Sabha tomorrow, a forex dealer said. Foreign portfolio investors put in a net Rs 536 crore in stock markets today, as per provisional exchange data. The rupee opened lower at 66.79 a dollar from last closing level of 66.74 at the Interbank Foreign Exchange market and declined further to 66.80 per dollar on initial dollar demand from importers. However, it recovered afterwards to 66.70 per dollar before finishing at 66.73 per dollar, showing a gain of one paisa. 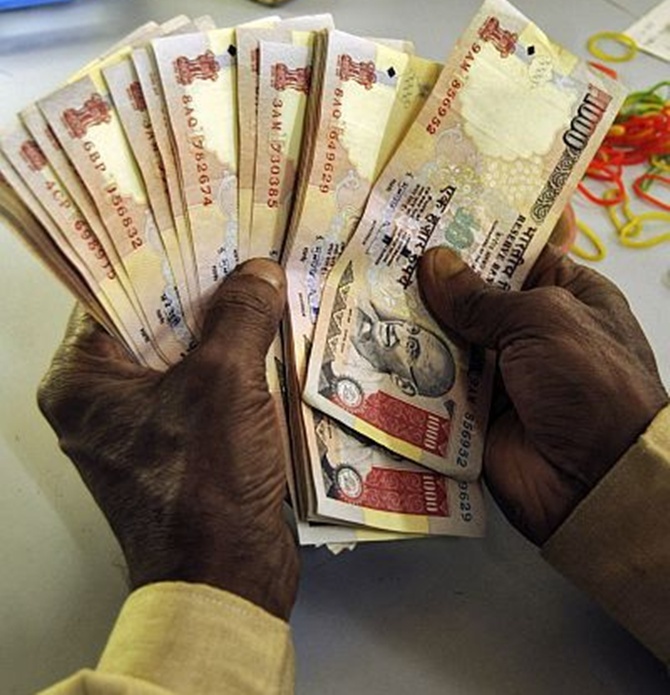 The domestic currency has gained by 62 paise or 0.92 per cent in the six trading sessions. The dollar index was trading down by 0.34 per cent against a basket of six currencies in late afternoon trade. Ahead of discussion on GST bill it was muted activity on our domestic equity market, Veracity Financial Services' Pramit Brahmbhatt said, adding that the same stance was taken by traders on the rupee. "Trading range for the spot USD/INR pair will be 66.50 to 67/USD," he said. The long-pending GST bill has been listed in Rajya Sabha for discussion and passage tomorrow. Meanwhile, the RBI fixed the reference rate for the dollar at 66.7612 and euro at 74.5990. In cross-currency trades, the rupee fell against the pound sterling to close at 88.35 from 87.96 yesterday and dropped further against the euro to settle at 74.68 from 74.50 previously. The domestic currency also moved down further against the Japanese yen to 65.55 per 100 yens from 65.27. In the forward market, premium for dollar eased on mild receivings from exporters. The benchmark six-month premium for January 2017 ended steady at 198-200 paise yesterday while far forward July 2017 contract eased to 398-400 paise from 399-401 paise.